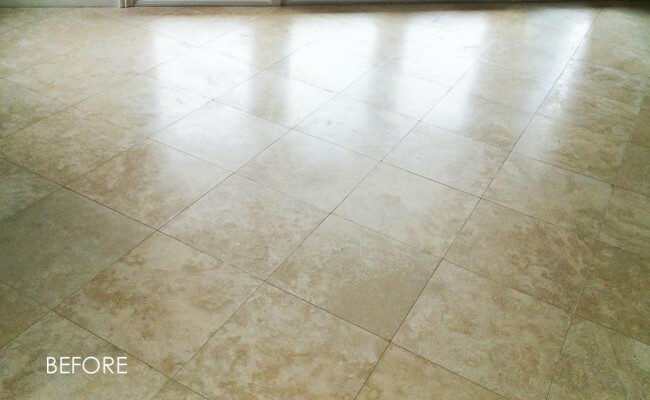 In a Pleasant Hill, CA home, the tan marble floor displayed in the BEFORE image had lost its elegance. The finish was dull, the reflection foggy, and the stone lacked the clarity and luxurious appearance it had when it was first installed. Our first step was a marble honing process. We used 400 grit diamond pads to hone the marble, which removed an extremely thin upper layer of the stone, the part that was scuffed and full of thousands of tiny scratches. With the damage erased, we moved on to our marble floor polishing process. We polished the marble to a beautiful, glass-like shine, as you can see in the AFTER image. 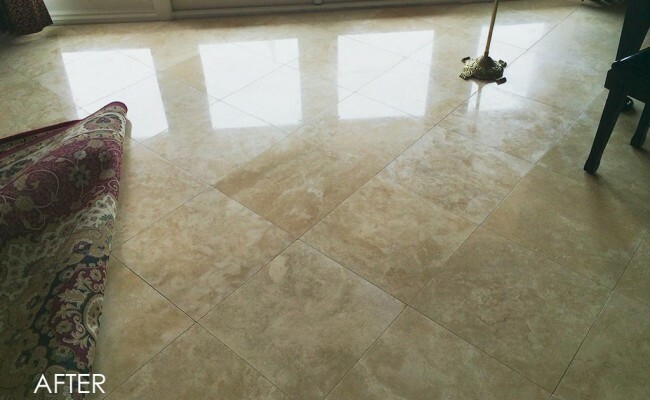 For marble floor polishing services, contact us online or call (925) 625-9625. We service Pleasant Hill, CA, as well as the Alameda and Contra Costa County areas.